cubacayoguillermo.com | Want to know before you go? 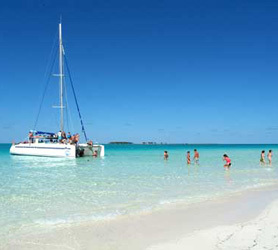 Official Cuba Cayo Guillermo information and guide, get facts and latest news. The Hotel Occidental Allegro Club in Cayo Guillermo is one of those hotels that seem to defy their price point and star rating. Possibly due to the idyllic surroundings, the hotel also excels under the new Occidental management and due to its complete makeover refurbishment in 2012. If we can call any hotel historic in Cuba’s Jardines del Rey Archipelago then this would be the one. The very first hotel built on these amazing islands is, in great part, still going strong, offering amazing value allied to great service and a wide variety of meal options including A-La-Carte restaurants onsite. 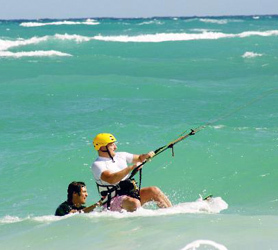 Being located in Jardines del Rey (King’s Gardens), and just 100 kilometers (60 miles) from the nearest town of Moron, the hotel offers a true blend of beach and culture for those searching to really get to know Cuba. The Allegro Club in Cayo Guillermo has just 280 rooms; being smaller than the other 3 hotels in the island it seems to offer great intimacy to its guests. If you can get one of the 20 new cabins through our booking system below you will not be disappointed. At just a little more than standard rooms, these accommodations are simply awesome and just a few years old compared the rest of the previous Villa Cojimar buildings on the resort. Our booking process is unique because it shows the best rate from all of these for Allegro Club hotel in Cayo Guillermo and the types of rooms available. 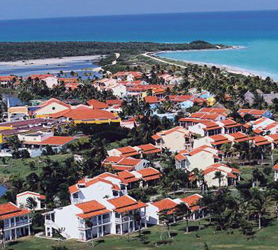 Our Allegro Club Cayo Guillermo rate comparison is an industry first for Cuban Hotels. Once you’ve compared the rates, finalizing the booking at Allegro Club Hotel takes just seconds and an immediate confirmation is provided in real-time. 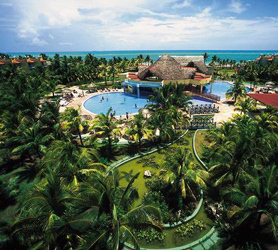 The Iberostar Daiquiri has broken the strangle hold Melia had on Cayo Guillermo by introducing its 4 star All-Inclusive hotel on the Jardines del Rey paradise Island of Cayo Guillermo. The hotel Daiquiri offers luxury which is but a hairs width from the 5 star Melia resorts nearby while still maintaining and more cost conscious 4 star price. If you are seeking to relax on vacation in at an amazing beach resort such as this, the Iberostar Daiquiri will tick all your boxes and a few more you hadn’t thought of. Yes, the Iberostar Daiquiri is a good hotel, offering excellent food and top notch service. 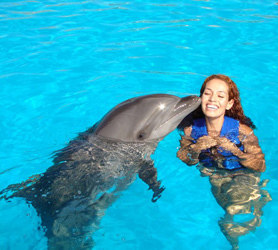 Furthermore, the Iberostar group seem to excel on entertainment with complete daily programs designed for the whole family. Cayo Guillermo has the second longest barrier reef in the world and Iberostar Daiquiri blends effortlessly with its natural beauty and its surroundings, making a natural environment where guests can enjoy a whole range of sports and entertainment. 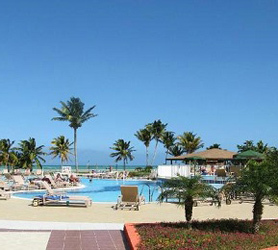 Our booking process is unique because it shows the best rate from all of these for Iberostar Daiquiri hotel in Cayo Guillermo and the types of rooms available. 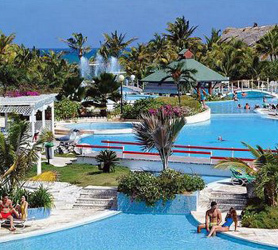 Our Iberostar Daiquiri Cayo Guillermo rate comparison is an industry first for Cuban Hotels. Once you’ve compared the rates, finalizing the booking at Iberostar Daiquiri Hotel takes just seconds and an immediate confirmation is provided in real-time. The island of Cayo Guillermo has an area of 13.2 square km or 5 square miles, one of the smallest in the Jardines del Rey Archipelago after its neighbors Cayo Coco (the second largest) and Cayo Romano with its 465 km2. 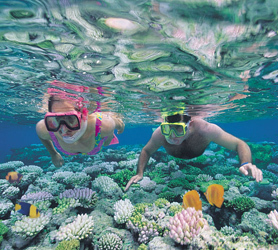 They are part of a group of numerous islands on Cuba’s north coast called Jardines del Rey or in English, The King’s Gardens. About 20km from Cuba’s north coast, in the Atlantic Ocean, the whole archipelago where Cayo Guillermo is located includes over 2,500 islands and islets spanning the two provinces of Ciego de Avila and Camaguey. The Jardines del Rey archipelago first saw tourist development in the 1990s, first with Cayo Guillermo in 1992, with the opening of the Hotel Gran Caribe Club Villa Cojimar (now the Hotel Allegro), followed by Cayo Coco with its first tourism development called Guitart Cayo Coco (now the Hotel Colonial) which was opened in 1993. Back then, there were no commercial international airports on any of the Jardines del Rey islands. Tourists flew into the Maximo Gomez airport located in the provincial capital of Ciego de Avila. 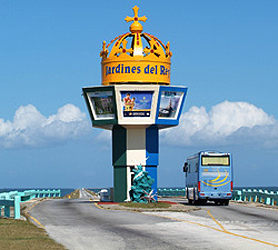 The construction of the pedraplen causeway from the mainland began in 1988, its 27kms (16 miles) length connecting Cayo Coco to the mainland of Cuba was concluded in a little over 3 years and, with it began the boom days of tourism on both islands in the King’s Gardens. A seven kilometers causeway, which concludes with a 1.5 km bridge, was constructed to connect Cayo Coco with Cayo Guillermo. Cayo Guillermo is 539km (334 miles) from Havana. Varadero is 461 km (288 miles) from Cayo Guillermo, whereas the closest cities to Cayo Guillermo are Ciego De Avila (population of 86,100) at 129km (80 miles) and Moron (population of 60,600) 90 km (56 miles). Cayo Guillermo and Cayo Coco are just 30km apart and are connected by the aforementioned causeway. 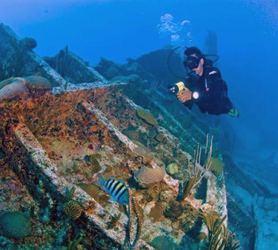 The United States of America is not far from Cayo Guillermo with Key West Florida at just 261 miles (420 kilometers) by flight from Cayo Guillermo in Jardines del Rey Cuba. Even though there are no direct flights, to give an idea of just how close Jardines del Rey in Cuba is to The Bahamas, the Clarence A. Bain Airport (MAY) in the Bahamas is just 214 km (132 miles) from Jardines del Rey International Airport – Cayo Guillermo, Cuba (CCC).